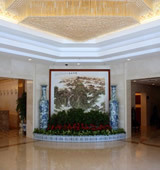 Opened in Jan 2012, The China Great Hall Hotel Beijing is a 4-star hotel located a little to the south of Tian'anmen Square. Centrally situated and with shopping areas like Xidan and Wangfujing nearby, this Beijing hotel is the perfect choice for convenience and comfort. China Great Hall Hotel Beijing offers 157 rooms and suites, equipped with air-conditioning, IDD telephones, satellite televisions and refrigerators and minibars. China Great Hall Hotel Beijing has a good array of recreational facilities including an indoor swimming pool, a gym, a sauna, a flight ticket office, a shopping arcade, a beauty salon, a bowling alley and a lobby bar. 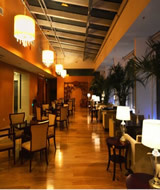 For business, there are medium and small conference rooms and a standard business center. © Copyright © 2012-2017 WWW.CHINAGREATHALLHOTEL.COM. All Rights Reserved.